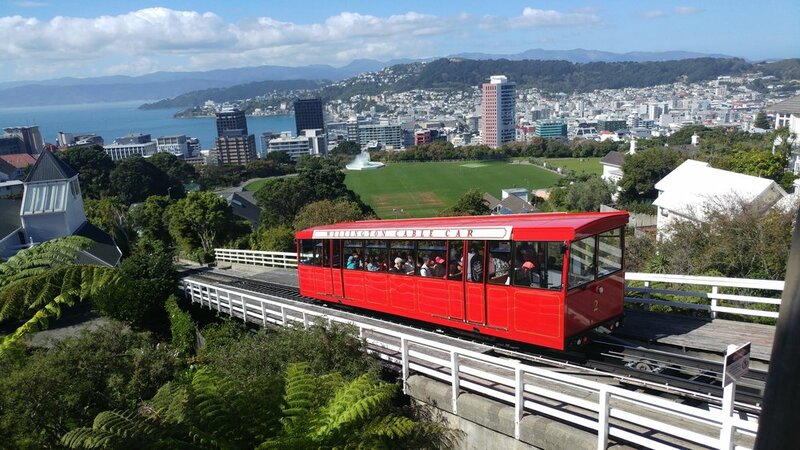 Once again, in 2018, we were in New Zealand’s capital city. Freya spent her fourth birthday not far from here and now she is eighteen. “Heading out towards Eastbourne, we too came to the end of the road. Looking for somewhere to wild camp, we parked up behind two housetrucks next to each other, right by the pebbly beach. While preparing a meal I glanced out of the window and caught sight of a boy and girl cycling round with Joe and Freya. When the meal was ready I went out to call our children in. As I approached them the boy came up to me. “Hi, I’m Bin,” he said, extending his hand towards me, “and that’s my sister, Hannah. That’s our housetruck over there.” Ben pointed to the Bedford, Ex-horse float from which his father, a blacksmith, ran his business. Outside was a forge, the coal fire powered by a car fan heater, with a metal chimney which dismantled. The forge was stored behind the cab on top of the engine in transit. There was also a washing machine, a simple affair, the likes of which Henry remembered his mother using in the 1960s: a white cylindrical drum, powered by a lawn mower engine, with a mangle over it. This was Freya’s fourth birthday, made special by having two other children to a little party. It was 2004, the second time we had stayed in the Wellington area. The only thing that hasn't changed is the weather!